Spectrum Glass Company manufactures specialty glass in Woodinville, Washington U.S.A. We have been designated by them as one of the Professional Stained Glass Studios in Alberta. 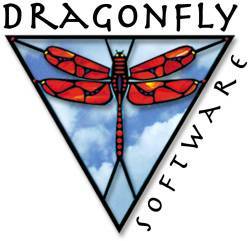 We purchased Dragonfly Software’s Professional Plus Edition in 2005 and have found it to be truly amazing and helpful in designing stained glass projects. We were featured on their Website for the month of December 2006 with our Prairie Sunrise window design for a home in Central Alberta. We now take pictures of pets and turn them into stained glass items for clients using this software program and have found it very user friendly when designing. Their Vision goes along with our desire to encourage and expand the use of stained glass in homes, churches, museums and work environments. We joined Wellspring Visual ArtNetwork Association in the Spring of 2008 after being Juried and accepted by their committee. We have participated in numerous art shows in Olds, Didsbury and Carstairs Alberta under the auspices of the organization, including their Art Walks in 2008 & 2009. There are some 30 plus members from Central Alberta, all of whom work together to further the exposure of the various types of art by outstanding Central Alberta Artists. PESGS are glass artists specializing in the design, and fabrication of stained, etched & carved glass for home and office applications. All pieces are one of a kind creations and are signed by the artists. The Wild Bird Store has been around since 1997 and is the only independently owned Wild Bird Store in Western Canada. They are Southern Alberta’s only Backyard Birding Specialist. We feel privileged to have our stained glass birds on display in their store.